Take a bunch of the grass and place it around the end of your twig. Wind your twine around the grass to secure it to the stick. Once you have wound it around securely, trim the ends with your scissors to neaten your broom. Super cute, I love anything miniature. This is a great idea! Great idea! I think I’ll ask Sister Bear if she wants to make a few tomorrow before our Halloween Party for party favors. That, mama, is super cute!!! I gotta get my hands on some twigs and grass! With the crazy blizzard like conditions we are experiencing here in northern MN that might be hard! Sweet. 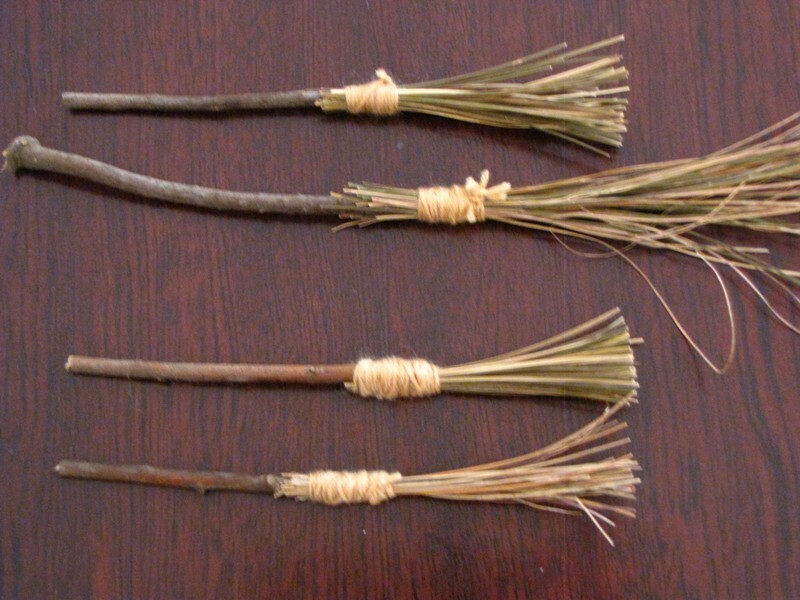 I have a blogpost today on witches and a fingerplay that includes brooms, your lovely brooms would go well with it! You are my crafty idol.